Technical Car Experts Answers everything you need: Lexus Ls 400 speedometer starts working after few minutes ? Lexus Ls 400 speedometer starts working after few minutes ? To repair your instrument cluster board for lexus LS 400, click the link below:--- There are two links click both one by one. For those of you who would like to fix the sticking speedometer and Tach needles yourselves, at no cost, the solution is simple, but takes some careful disassembly of the gage cluster to remove the sticking gage. First, remove the cluster. (http://www.lexls.com/tutorials/elect...ntcluster.html) Then disassemble the cluster (http://www.lexusownersclub.com/Lexus...rd_Removal.pdf) by removing the 4 screws from the power supply board and folding it back, then the screws holding the main board to the frame. 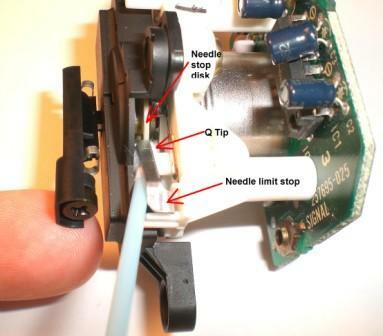 Remove the ribbon cables by carefully prying up evenly on the wedge lock, and the other connectors by lifting straight up. Once the gage is removed you can access the needle limit stop arm from the back side. The sticking is the result of lube getting on the limit stop arm and causing a slight vacuum (much like denture adhesive) when the needle disk contacts it. This vacuum has to be overcome before the needle will release from the limit stop. There is no need for any lubrication at this location, and it must be removed. 1993-94 Lexus LS400 Instrument Cluster- Repair Cost starts at only $229 USD includes all shipping. Yes we repair backlighting, fuel gauge problems, slow responding tach and speedo (needles stuck at 0) and partially lit needles!! Cost of new cluster board is $1200 approx. Labels: Lexus Ls 400 speedometer starts working after few minutes .